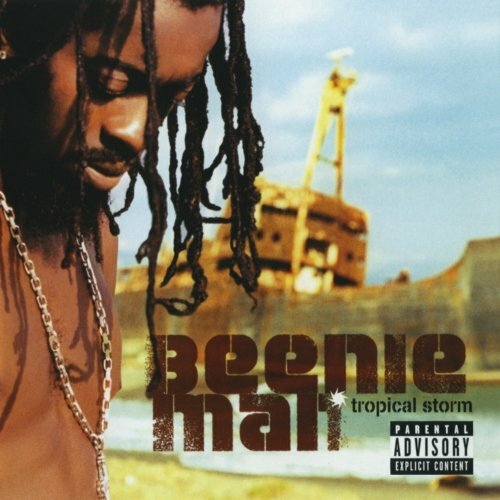 The undisputed heavyweight champion of the 'Dancehall' world most commonly known as Beenie Man unleashes his second output under the Virgin Records banner entitled 'Tropical Storm'. A few years sovereignty at the top of the trend-ridden and competitive world of deejaying is worthy of a pat on the back. Beenie's 10 year reign marks an unprecedented onslaught, which has calmlyweathered the storm due to his chameleon instinct. How many other artists in the genre of dancehall can successfully flirt with varying musical styles such as country and western, gospel and soca and still remain credible? Seemingly bored with defending his title, Beenie has now set his sights on becoming a global entertainer; Tropical Storm covers a broad spectrum of styles, for the most part, reeking of commerciality. The happy-clappy, hip-pop feel filters throughout, with Kingston's finest enlisting today's connoisseurs of crossover such as Janet Jackson and The Neptunes for guaranteed mass appeal. Ironically, the most interesting tracks come courtesy of the guest appearances.s 'Fresh From Yard' enigmatically pairs Beenie with Brooklyn bad gyal 'Lil Kim'. The two trade boastful couplets; Beenie's pointing towards his sexual prowess, while Kim's surprisingly steers away from sexual subject matters and more towards material wealth. The track is produced by seasoned NY board controller DJ Clue, and will definitely appeal to ragga heads and hip-hoppers alike. Similarly 'Yagga Yagga Yo' featuring So Solid Crew is quintessential UK Garage - moody bass lines, frantic keyboards and the over-excitable deejay screaming nonsensical yelps in his trademark style. The 13 track CD is an overall mixed-bag which will further seal Beenie's status as 'Man of the People'. Ragga purists might be a tad perturbed though; the tepid output translates into more of a tropical drizzle than a fully-fledged storm.